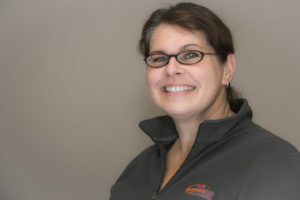 Chrissy Hughes attended a Wag It Games camp several years ago and was immediately hooked on Wag It Games. She is a strong believer in fostering positive relationships with our canine companions and feels that Wag It Games really promotes those relationships. She has now both successfully completed the Wag It Games instructor training and is certified to judge – Sniff It, Dog Ball & Quarry Quest. 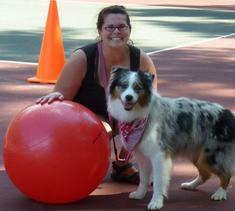 Chrissy has been training with her Australian Shepherd in Dog Ball Trieball, Agility, Rally and Competition Obedience. They also actively compete in Wag It Games No Need for Speed Obstacle Skills, Shadow Skills, Sniff It and Quarry Quest. Chrissy teaches Wag It Games Dogball. Her knowledge, enthusiasm for life and love of working with her canine partner makes her a joy to train with.